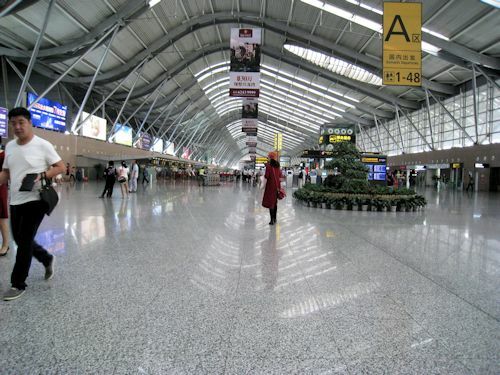 Most Chinese airports are very big and terminals can be miles apart. Add to that it can be very intimidating to be able to find out where you should be going. Right now my handler tries to find out where we need to go to start the process of getting on the right flight.